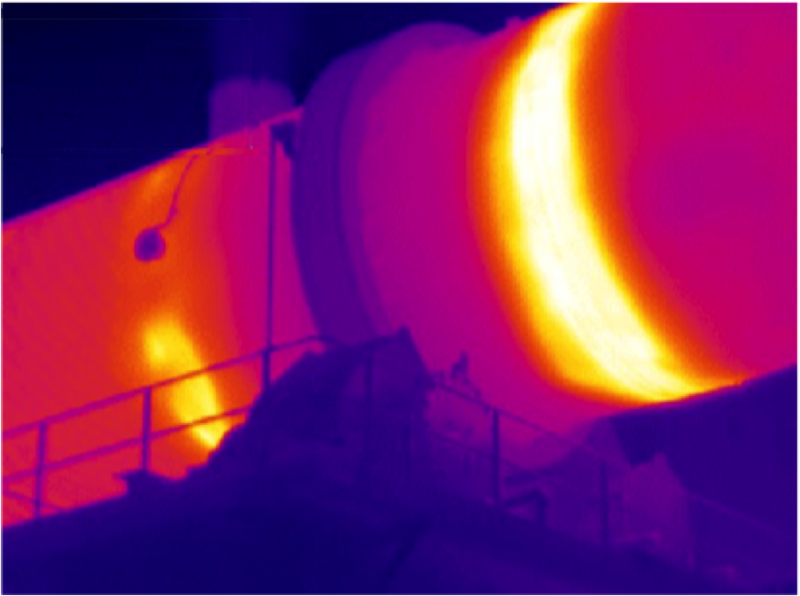 Infrared thermography for control and monitoring of industrial furnaces. Industrial furnaces are often strategic installations of production sites. To ensure operation under optimal conditions, at lower cost and with minimal industrial risk associated with their activity, it is necessary to set up a regular monitoring of their condition. Applied Infrared Thermography monitoring of refractory walls of furnaces used to view the envelopes and pinpoint vulnerable areas. To avoid such a situation, it is necessary to regularly check the furnace walls with this technique. Avoid a crisis to manage by your staff and your customers. Infrared thermography is visual. Search thermal spots will be the priority and temperature measurements will monitor refractory to avoid reaching the threshold of destruction. Compared to the observed anomalies, Marense offers you priority recommendations that will allow you to schedule any maintenance. The regular production of this type of control will also identify areas likely to deteriorate more quickly. 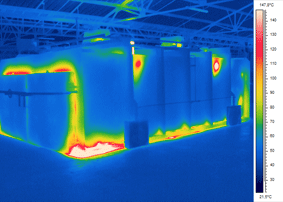 As part of an energy audit the inspection is motivated by energy saving, infrared thermography will immediately identify poorly insulated areas, or without isolation, which generate the largest losses and waste. This analysis will guide and prioritize work at the places affected. Conveying installations hot or cold energy.